It has been downright hot here this week. To make matters worse, it is also sticky and grossly humid. Not exactly cooking weather. 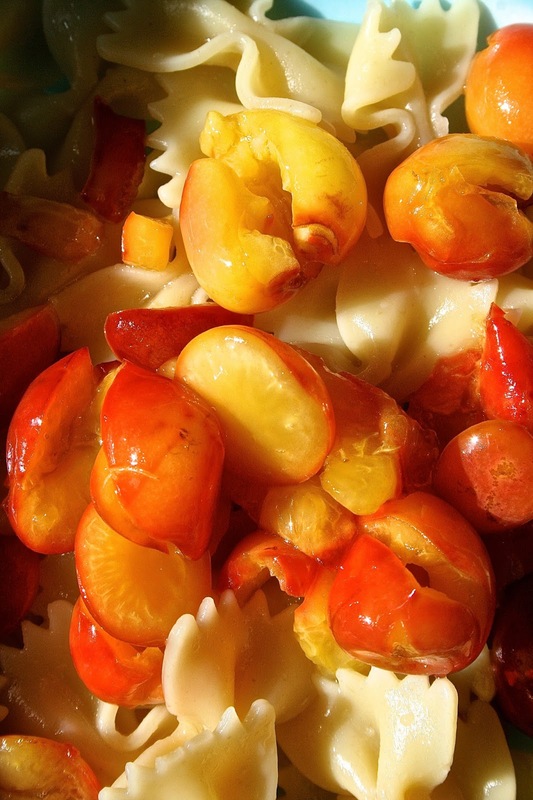 Today at the farmer’s market we found some beautiful sweet cherries and thought they’d be perfect for a simple summer dinner…something we are becoming somewhat addicted to this week. With weather like this it is often easy to just toss things together with pre-cooked pasta and call it a night. We wanted the pasta, but wanted to make it a little bit different and… a little bit special. 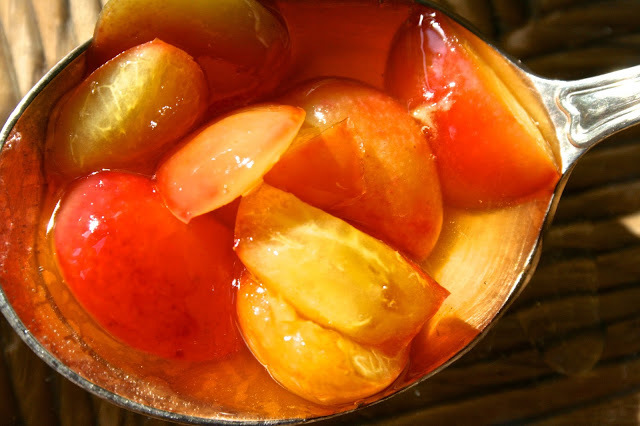 We decided to make a simple sweet cherry sauce cooked in honey and Moscatel sweet wine vinegar. 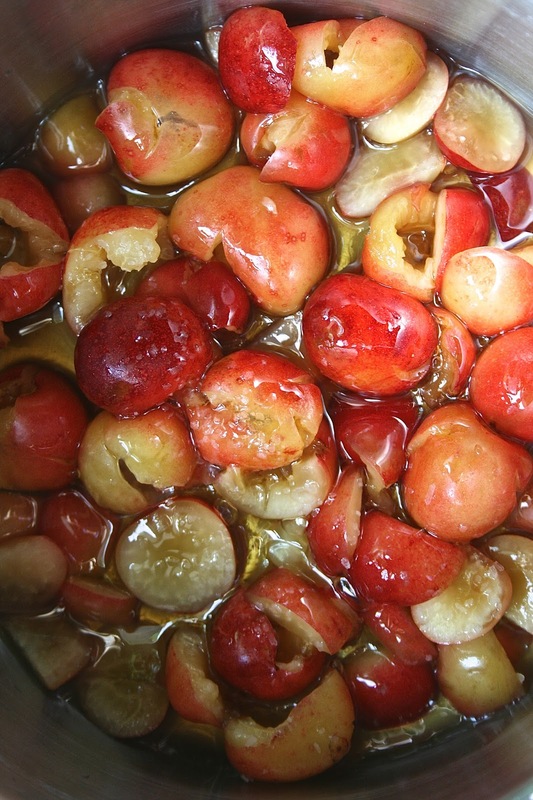 We began by pitting the cherries and tossing them in our saucepan. We covered them in honey and added a splash of the Moscatel sweet wine vinegar. We also added a pinch of kosher salt. In retrospect, I think we could have also added a small spoonful of dijon mustard. After it cooked down for about twenty five or thirty minutes we tossed it with our pasta. 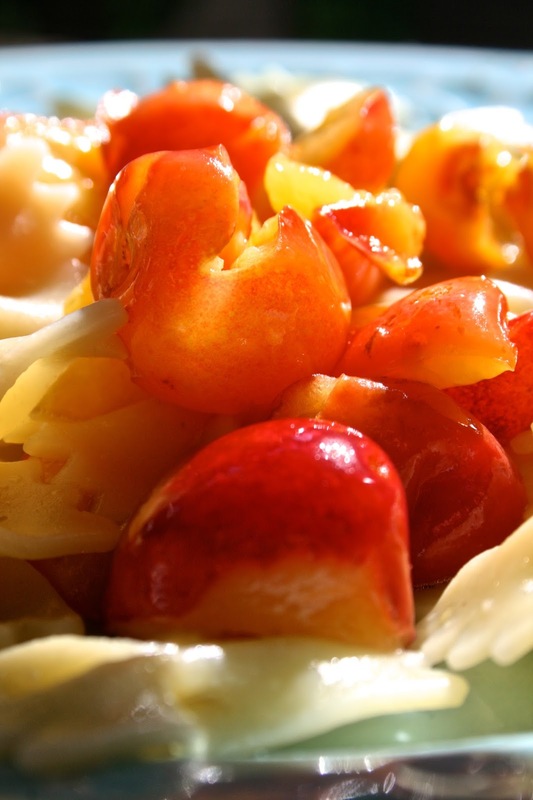 The sweetness of the honey and cherries created a summery taste. The entire dish was really quite light. The sweet cherries had the flavor of peaches. As we ate we thought about how versatile this sauce could be. It would go remarkably well with pork or even a soft cheese served with little toasts. It might even be totally yummy on vanilla ice cream….hmmmmm…maybe next time!